Happy Wednesday! Today, we’re taking a closer look at civil rights/human rights champion Lateefah Simon! 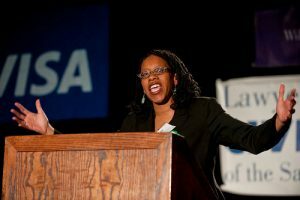 A nationally recognized advocate for civil rights and racial justice, Lateefah has over 20 years of executive experience advancing opportunities for communities of color and low-income communities. Raised in San Francisco, Lateefah began organizing at age 15 for the Center for Young Women’s Development. At 19-years-old she was appointed Executive Director of CYWD, where she served 11 years and brought the organization to national acclaim. At 26, her work earned her the distinction of the youngest woman ever to receive a MacArthur “Genius” Fellowship. She went on to lead the creation of San Francisco’s first reentry services division under the leadership of then District Attorney Kamala D. Harris. Lateefah later served as Executive Director of the Lawyers Committee for Civil Rights and Program Director at the Rosenberg Foundation. 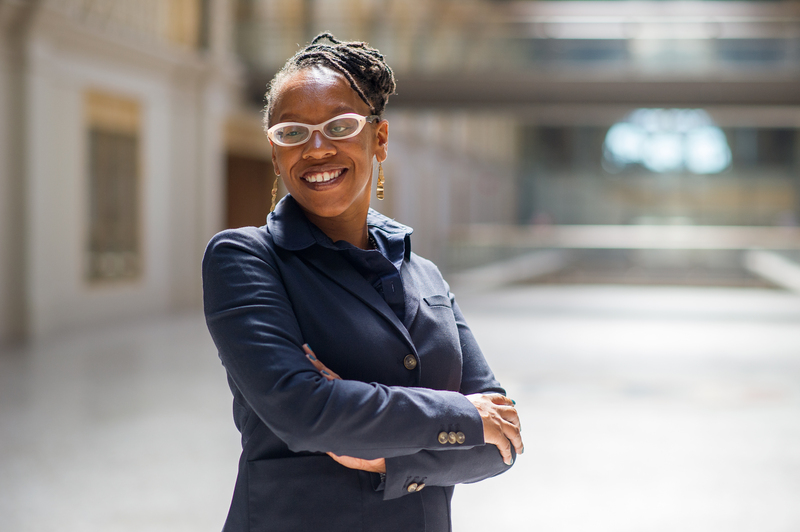 Currently, Lateefah is President of the Akonadi Foundation, an organization that funds and nurtures racial justice movement building to eliminate structural racism and expand opportunity for youth of color. She is also a California State University Trustee, appointed by Governor Jerry Brown in 2016 to serve the largest public university system in the world. She was elected to represent the seventh district on the Bay Area Rapid Transit District board of directors in 2016. Her motivations for running included her reliance on BART, as someone legally blind and unable to drive. Her priorities for BART are affordability, accessibility, and accountability for transit-dependent people and working families. Please contact us for more information about having Lateefah Simon speak at your institution or conference!